Samsung has officially announced the launch of its new innovative Samsung NX100 mirrorless digital camera, which the company claims to feature the world’s first i-Function lens – the unique, intuitive lens that are designed to explore a seamless image control and creativity with fast manual settings, offering extreme-cool D-SLR power in a single compact device. In simply words, Samsung NX100 owners can control their cool camera at their fingertips thanks to the simple-to-use i-Function lens system. 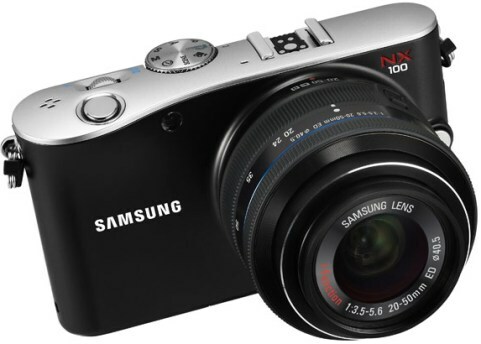 The new stylish, sleek and lightweight Samsung NX100 mirrorless camera which measures 120.5 x 71 x 34.5 mm and weights just 282 grams will be offered in black or brown color, expected to be available later this month for about $599.